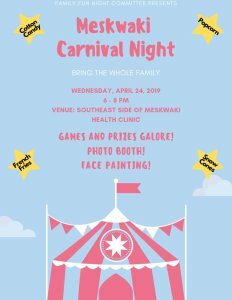 The Family Fun Night Committee presents…. Date/Time: Wednesday, April 24th from 6:00 – 8:00 pm. Bring the whole family! There will be games and prizes, a photo booth, face painting and more!